Comment: have 3 windows that need to be replaced at this time. Comment: My dog pushed the window screen out. Comment: I am buying a new home that will need to have most of the windows replaced. Comment: Basement window egress installation. Cement foundation will have to be cut but not all wall is underground. Backyard is on slope so some cement wall already exposed. West Michigan Glass Block, Inc.
Lansing Window Replacement Companies are rated 4.75 out of 5 based on 618 reviews of 24 pros. 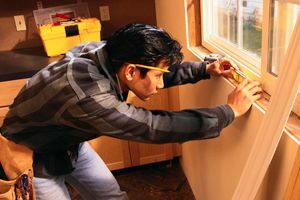 Not Looking for Windows Contractors in Lansing, MI?